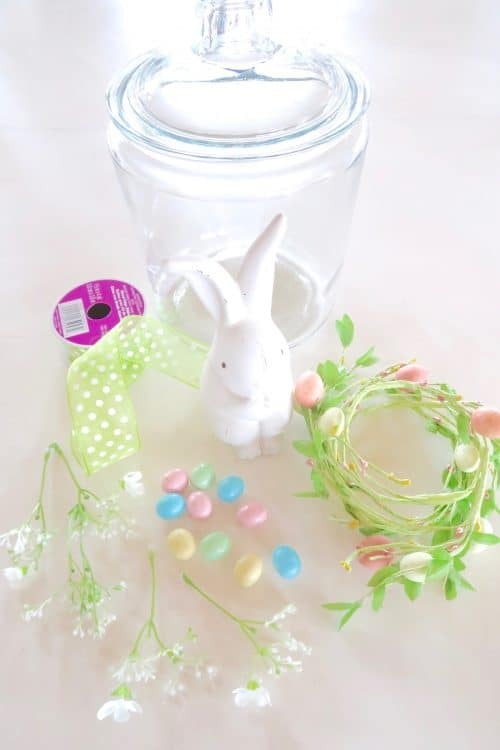 Enjoy this sweet April decorating post! Howdy-do gals! I’m back with another easy-breezy decorating idea! 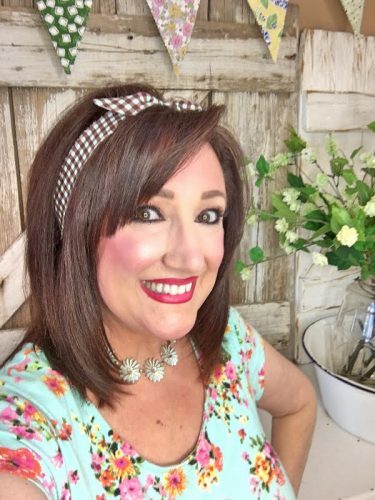 I’m so thrilled that Christy, here at Southern Plate, welcomes me with open arms each month to share a little inspiration for y’all! I’m telling you it’s an honor to be a part of the Southern Plate family! This month’s idea couldn’t be easier! I mean it’s truly easy-as-pie!! 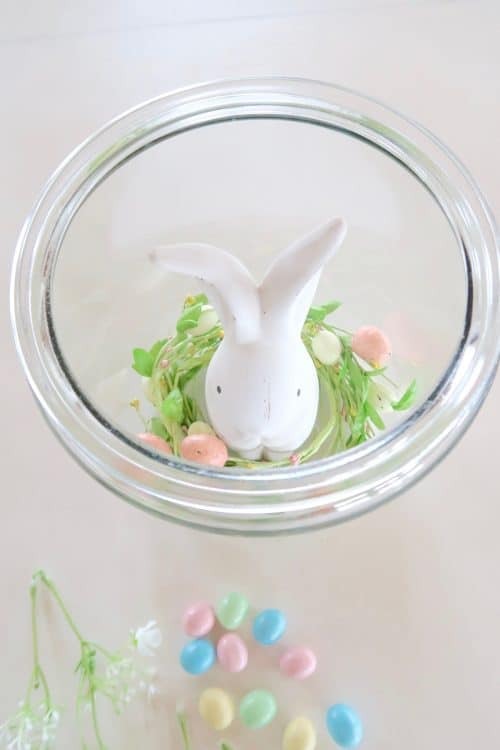 With Easter around the corner how darling is this sweet little bunny in the cookie jar? Precious! Once you have all of the goodies you need to put this together you’ll have it done in less than 5 minutes! 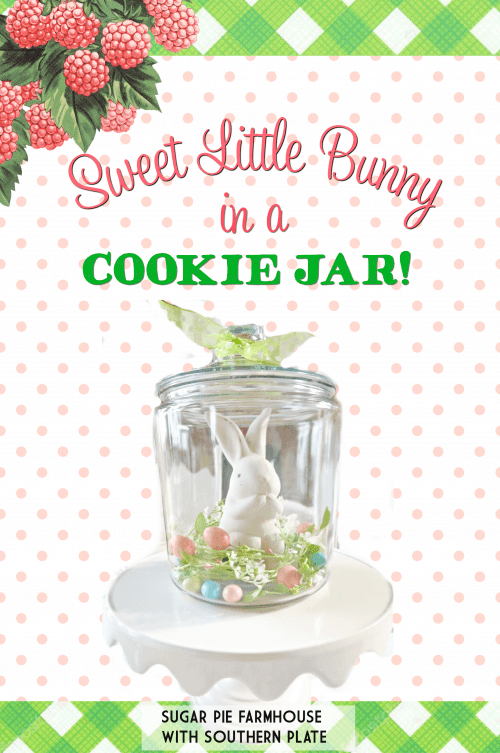 I already had this cookie jar but you can find the same one, very inexpensively, at Walmart or Target. 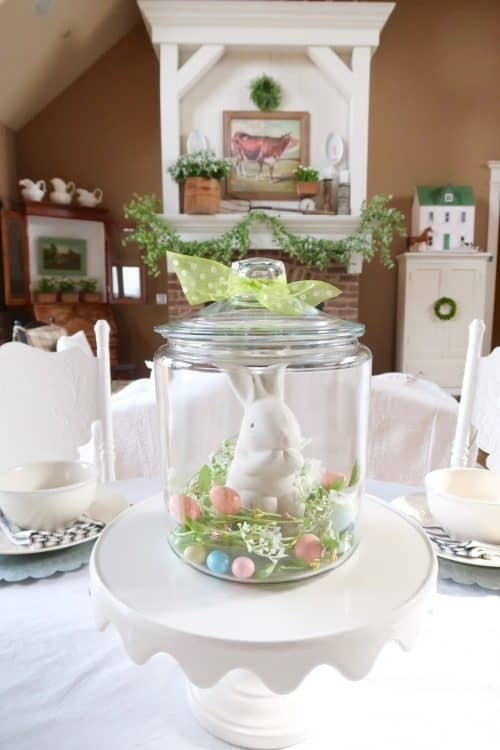 You can also use a large canning jar. 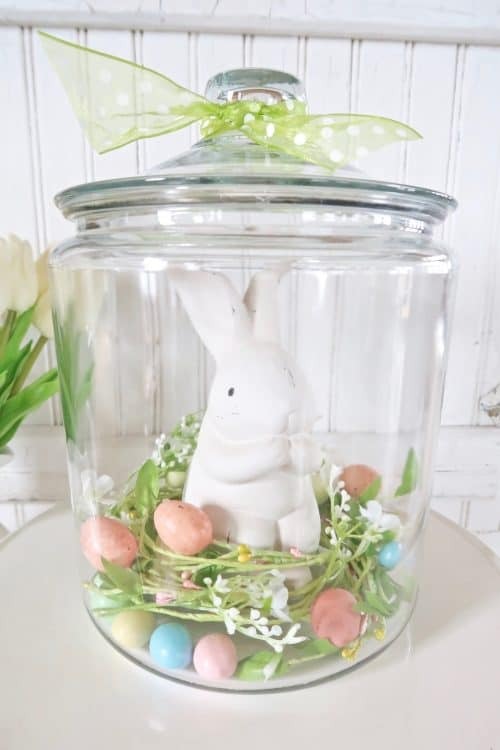 My little sweet bunny came from Pier One Imports on sale for $4.99. Of course these items I’ve purchased can be used for years to come! 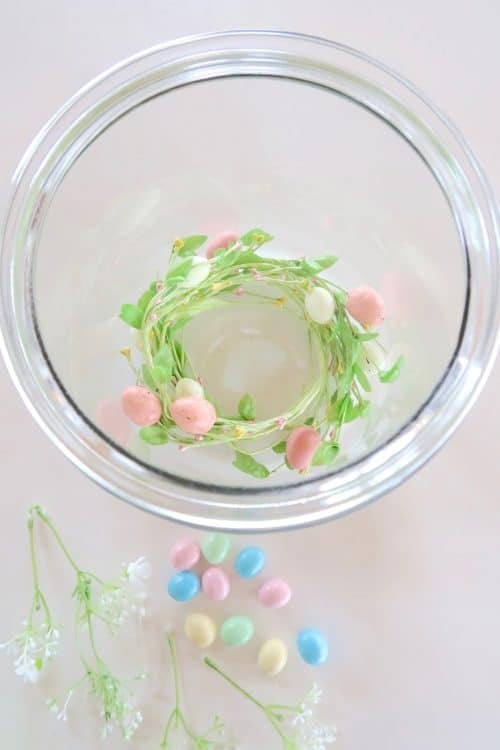 Create a little nest with your mini-garland or flower clippings at the bottom of the cookie jar. Tuck in your little bunny all cozy and sweet! Put on the lid and tie with a ribbon! You’re done! So simple & So sweet! Placing the cookie jar on a cake stand makes it extra special! I can promise you’ll smile every time you walk by! Enjoy! 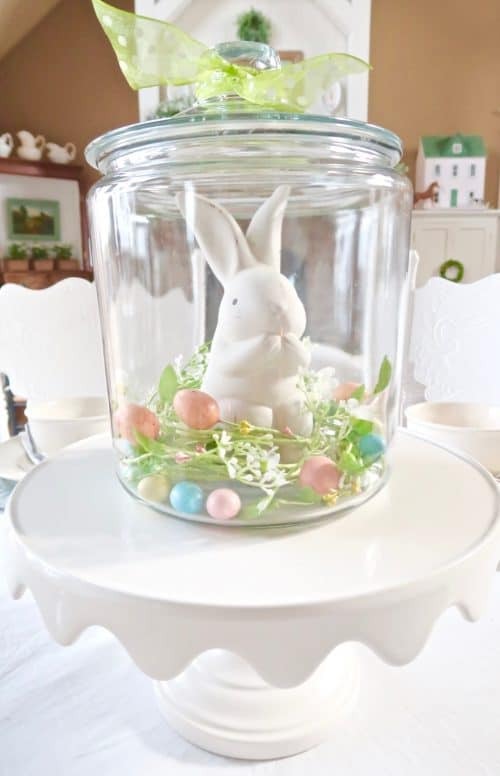 I hope you enjoyed this Sweet Little Bunny in a Cookie Jar idea! If you did, let me know in the comments below! If you’re ever in the neighborhood (wink!) 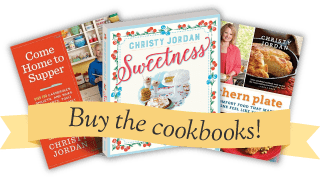 come on by for some pie at my blog, Sugar Pie Farmhouse ,where the coffee is always fresh and hot and the pie is delicious! Heehee! What a darling little idea.